Back in June 2015, we posted a story about whether or not there would be a ‘Jodi Huisentruit Day’ in Mason City. State Rep. John Kooiker drafted a letter to the Mason City Mayor and Council along with three additional sheets filled with the signatures of all 100 members of the Iowa House of Representatives in support of the move. John Kooiker (R-Boyden) represents District 4 in the Iowa House of Representatives. He is a retired farmer, educator and rural mail carrier. He resides near Boyden with his wife, Sheryl, who served as his clerk in the 86th Assembly. He did not seek re-election in 2016 and therefore is retiring from public service. This week, Rep. Kooiker released a scathing letter criticizing the Mayor and Council for stonewalling his attempts to bring attention to the Huisentruit case. It’s been a privilege to serve in the Iowa State House of Representatives to fill the ninth term of my good friend Dwayne Alons, who passed away shortly after winning the November 2014 election. I quickly realized what a benefit it is to have such diversity in the Iowa Statehouse. We all bring our experiences, joys, sorrows, biases and ideas to the assembly. The combination of the aforementioned, multiplied by a factor of 100, forms one of the greatest legislative bodies on Earth. So why would a legislator from Sioux County be interested in cold cases? I have had four experiences which galvanized my interest, and three occurred prior to my time in the Legislature. The first was the 1981 disappearance of Adam Walsh, age 6, in Florida. At the time my wife, Sherry, and I had four children age 7 and under. The second was the disappearance of Jacob Wetterling from rural Minnesota in 1989. He was the same age as my son Ben who is now a successful CPA in Sioux City. The similarities in appearance between Ben and Jacob are striking. This could have happened to us. The third was the disappearance of TV reporter Jodi Huisentruit in Mason City in 1995. She was 27 at the time of her disappearance. I remember this event clearly as it occurred on June 27, which is the day between my birthday and our anniversary. My daughter Bonnie, a Spanish teacher and interpreter in Omaha, passed away at age 27 of cancer in 2007. The physical similarities between Bonnie and Jodi were striking. I have experienced the death of a daughter, but I can only imagine how hard it would be to have a child just disappear. The fourth was something I learned while sitting next to state Rep. Mary Wolfe (D-Clinton) during my time in the Legislature. Her two sisters were murdered in Pennsylvania in 2014. Despite this pain in her life, Mary represents her constituents with passion and was very kind to my wife and me. Three of the four tragedies cited above have been solved. In the spring of 2015 I was thinking of ways to draw attention to the high number of cold cases in Iowa. With the 20th anniversary of Jodi Huisentruit’s unsolved disappearance approaching, I saw an opportunity to augment the work being done by The REVIEW and other Iowa media in advancing the cause of solving this backlog of cold cases. With the assistance of other legislators, I circulated a letter addressed to the city of Mason City asking them to recognize the 20th anniversary of Jodi’s disappearance and soliciting help in solving the case. All 100 state representatives signed the letter. I talked to one of Jodi’s sisters, and she had no objections. Mason City area legislators offered to notify Mason City officials of the pending letter. That news elicited some rather strange reactions. Chief Mike Lashbrook insisted that he did not want the letter to be sent to him or anybody else in Mason City. Mayor Eric Bookmeyer complied and vouched for what a wonderful job the chief had been doing and that he was close to retirement so he did not need this issue to come before the public and sully his record. The mayor begged me to withdraw the letter and was worried about putting too much pressure on the chief. I was even accused of meddling and not respecting local control. In particular, the mayor and the chief were upset at my plan to release it to the media. I proceeded to send the letter to the mayor and all six council members, but decided not to send it to the media. As far as I know, the letter was disregarded. Generally, I would not describe myself as a person who is untrusting, but I have this gut feeling that something is being covered up in Mason City. The chief’s mysterious reaction, manifested through the mayor, makes sense if the Mason City Police Department is mishandling this case. Indeed, I soon realized certain leads first filed in 2008 had been ignored for at least seven years. I spoke with DCI director Jim Saunders. He explained that due to the complexity of this case, the Mason City Police Department was supposedly notifying Iowa DCI of all leads since 1995. But for reasons unknown, the Mason City Police Department concealed the 2008 leads from Iowa DCI until 2015. Director Saunders assured me all leads would be investigated. However, I was also informed that under Iowa law, the local police department owns the case. DCI is only available to assist and does not have enough resources to do so. In 2016, I hoped the new chief would be more receptive so I sent him a certified letter on April 26. He did not respond. On Sept. 7 I was in Mason City for a funeral. Chief Eric [Jeff] Brinkley was unavailable at the time so I visited with Lt. Logan Wernet, who conveyed my concerns to chief Brinkley. Chief Brinkley did not call me back. I still have not received assurance that all leads are being investigated. Without jeopardizing the leads in question, I will simply say the Mason City Police Department seems to have an dubious lack of interest in following up on leads that could shed the light of day on Jodi Huisentruit’s disappearance. As in so many cold cases, eventually the case fades into oblivion for the public which is what the Mason City Police Department seems to be hoping for again. Sadly, the immediate family never forgets, and they continue to wonder what happened to their loved one. I have 10 reasons for not seeking re-election in 2016: My 10 grandchildren who all live in Iowa. I want them to live in a state that cares about its citizens. It is my hope that the 87th Assembly and my colleagues and friends in both parties will continue the work of drawing attention to Iowa’s backlog of cold cases. Regarding the ‘Jodi Huisentruit Day’ request, FindJodi.com reached out to Chief Michael Lashbrook of Mason City Police Department in June 2015 for comment on the matter. “So far this letter has proven to be an unnecessary distraction for the Mason City Police Department, involving the expense of time and resources. The fact it has received such a mixed reaction (as you put it) from legislators, the City, Police Department and particularly the family of Jodi Huisentruit makes me question it’s value,” the Chief explained. “I concur with Chief Lashbrook. The MCPD is conducting an ongoing investigation and continues to coordinate with other law enforcement agencies. I fully support their position and their plans to respectfully mark the 20th anniversary of this tragic occurrence,” he said. It’s important to note that current MCPD Chief Jeff Brinkley met privately with a few members of the FindJodi.com team in October 2016. It was there the Chief indicated that he planned to read Jodi’s entire case file and continue to keep the lines of communication open with our team. After Chief Brinkley took over the position, Caroline Lowe interviewed him during the 21st anniversary of Jodi’s disappearance. You can read that dialogue here. 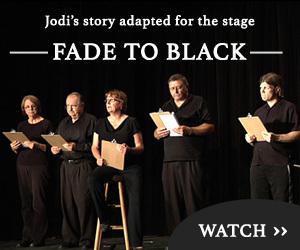 FindJodi continues to follow this story. Check back for more.